Sometimes you have your hands full of bags, umbrellas, etc. In these cases it would be useful to open the door without keys, simply finishing ahead. 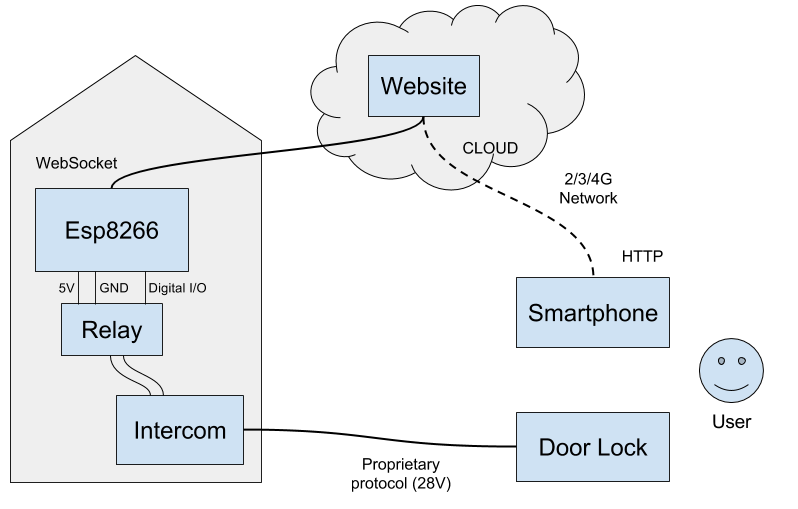 My idea is to use a smartphone to trigger the opening of the door, using a microcontroller inside my house and an application on the cloud to manage the communications of the system. So, I choose the well known ESP8266 module. I bought all the hardware on my favourite chinese mall Bangood. At the beginning I wanted bypass entirely the intercom, but after few attempt I realize that the intercom protocol is not well documented. Audio, video and signal all on 2 wire at 26-28V. Definitely easier to simulate the press on the intercom button using a relay. After write the Esp8266 code with Arduino, I wrote the server parte with NodeJS and a webpage. From an architectural perspective the initial system is composed by a single server and two client (Esp8266 and Smartphone) that communicating with a persistent connection (websocket). Due to the websocket connection limit of free azure websites (max 5 connection) an other economic considerations, I upgrade the system to limit the websocket connection only to the indispensable Esp8266 side, letting the smartphone using classic HTTP requests to send commands to the server. 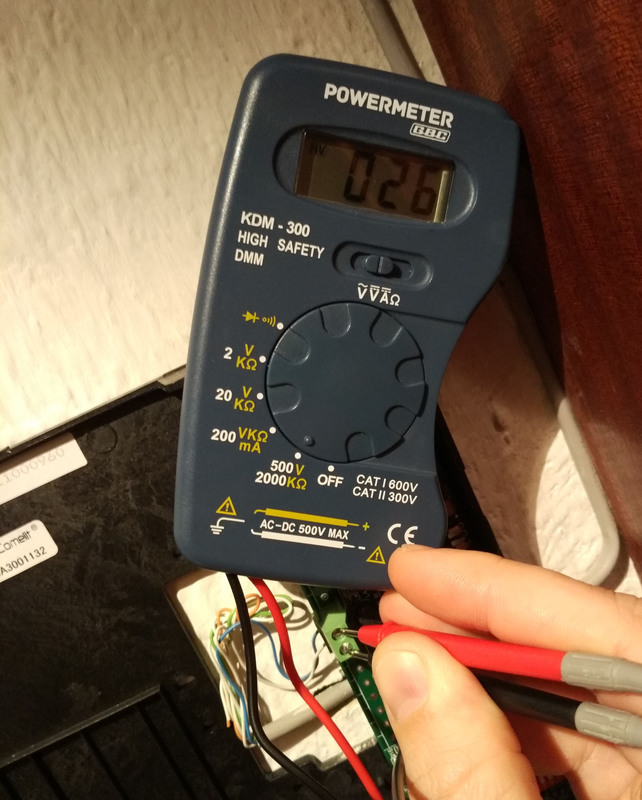 I build a webpage with a on/off butto to test the system, and it works! After 2 weeks of continuous running without any problem, I am fully satisfied: I can open my door with a touch on my smartphone. But it would be great if I could open the door without touching the smartphone. So I started to investigate the conditions and technologies to upgrade the system the next level. The approach based on a web page was no longer sufficient: i switch to native app. I do have a question; do you use a bootstrap for node.js? Hi, I am wondering how you can access to your ESP8266 IP when you are away from your router. e.g. your office using different router and your ESP is at home. 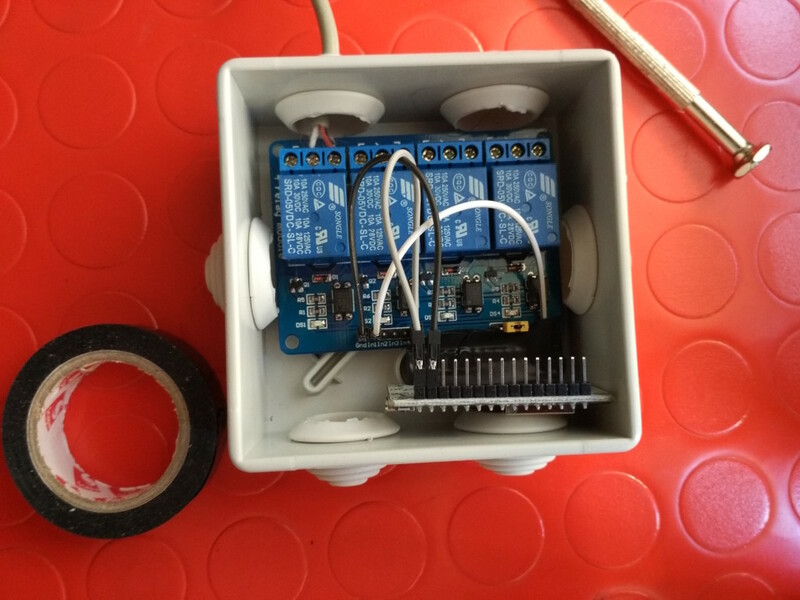 Most of garage doors already have relay, so you probably need only a ESP8266 and connect it to the door rely, Right ? Hello, I really like this proyect, could you publish the code? 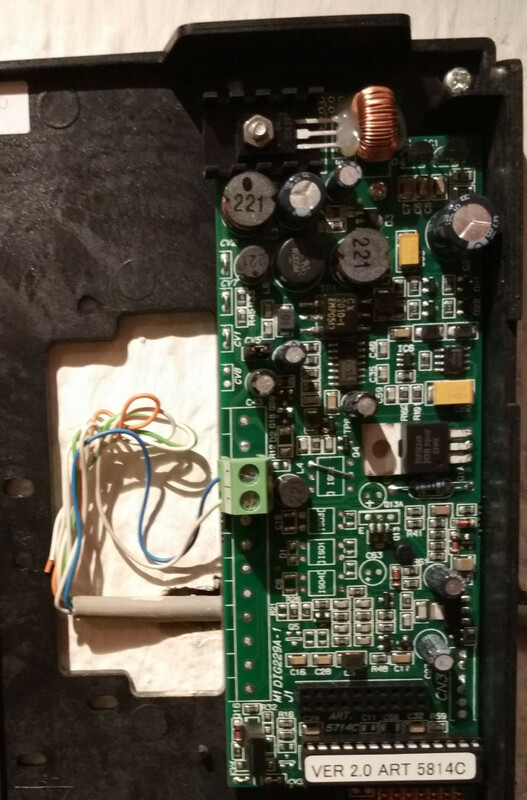 i also have a two wire setup and im trying to figure out what you connected to as the COM connection, that is a common link to close the circuit. the module im using requires an “in” (COM) connection that would be used to “close” the open circuit.